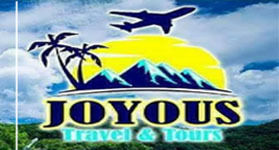 NBT Travel Solutions, your one stop shop travel agency based in Angeles Pampanga Philippines. GLOBAL TRAVELINK INT'L TRAVEL & TOURS CO.
Travel Agency offering travel services includes local and international airline tickets, hotel and resort accommodations, local and international travel and tour packages, visa assistance, passport assistance, NSO services, educational field trips, event organizer, tours and attractions, team building organizer, van rentals, car rentals, cruise ships and other travel related services. Banner Link is one of the oldest and most trusted forms of online marketing, it is not only help in driving targeted traffic to a website, they also help promote and build brand awareness. They can be used solely for traffic purposes from busy websites or used to help in link building.